Congratulations to TeamHayes (Paul and Rosario) for winning the MyFolsom NFL Football Pool! For the season, Paul picked the winners in 173 games. Their prize, in addition to bragging rights, is a 32" HDTV. Nate Hardy came in second, followed by Tom King, Anna Gleghorn and Ron Sliger, to round out the top 5. Thanks to Albert #themortgageking Chavez for co-sponsoring the contest! 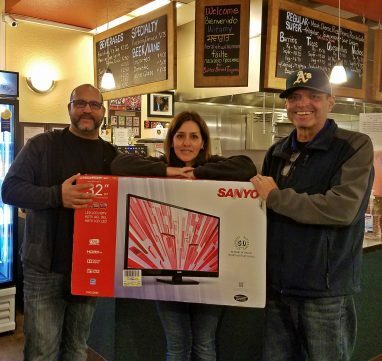 And thanks to Rosario and the Sutter Street Taqueria for contributing some of the weekly prizes. Stay tuned for the next contest. Perhaps a March Madness bracket challenge?